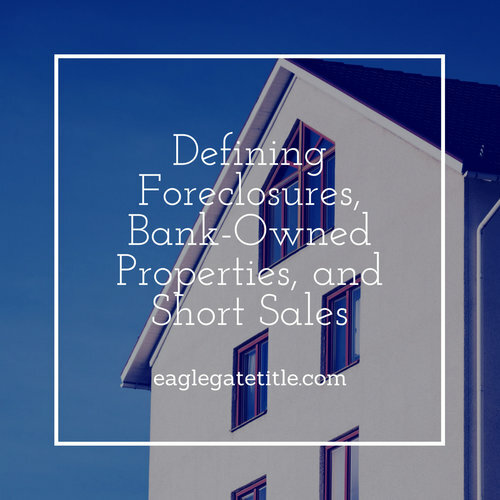 There are three common terms in real estate that are often confused with one another: bank-owned properties, foreclosures, and short sales. They are all different from each other even though people sometimes incorrectly use them interchangeably. After reading this article, you will know the individual definition of each term so that the next time you searching online for homes on the market, you’ll know exactly what it means when some are listed as St George short sales, foreclosures, and so on. contingencies whatsoever. Essentially, they are purchasing the home “as-is”, no matter what faults the property may have. St George foreclosures are usually acquired via a bidding process wherein the highest bidder takes ownership of the property. The winner gives the deposit right then and there, signs the paperwork, and takes full responsibility of any liens, outstanding taxes, or necessary evictions associated with the property. Granted, bidders often have been educated on the overall status of the foreclosed property in advance. Not always, though. Now, if the new owner of the foreclosed property defaults on their purchase, they can be sued for damages. Banks are not likely to reverse a transaction involving a St George foreclosure if the buyer gets cold feet. Any parties interested in purchasing a foreclosure must be meticulous about being informed about the property beforehand. A bank-owned property is a home that is officially owned by the lender through the process of foreclosure and a subsequent unsuccessful auction. Another way the lender can become the owner of a property is by a deed in the place of foreclosure, such as when house keys are turned over to the bank by the buyer. When a home becomes the property of a bank, they prefer to sell the property as soon as possible knowing they are typically overburdened with inventory. Now lets discuss St George short sales. St George short sales are properties where the amount the owner owes on their mortgage is more than the market value of the property. For example, a person has a $750,000 mortgage but the property is now worth $600,000. In this scenario, if the person is unable to make up the $150,000 difference, they will typically seek approval from the lender that in selling the property, they will accept less than what is owed. Not all St George short sales short sale request made by homeowners who are upside-down on their mortgage are accepted by the lender. More often than not, homeowners in this situation have to be flexible and patient as they seek approval, which can sometimes take a long time – months, even years, in some cases. It is recommended that folks who find themselves in this situation don’t pursue St George short sales alone but rather obtain help from a real estate agent who knows what their doing, who are experienced in dealing with St George short sales. Though there are obvious risks involved in purchasing St George short sales, foreclosures, and bank-owned properties, just like any investment, if done wisely, they can be a wonderful opportunity to acquire a desirable home at a reduced price.